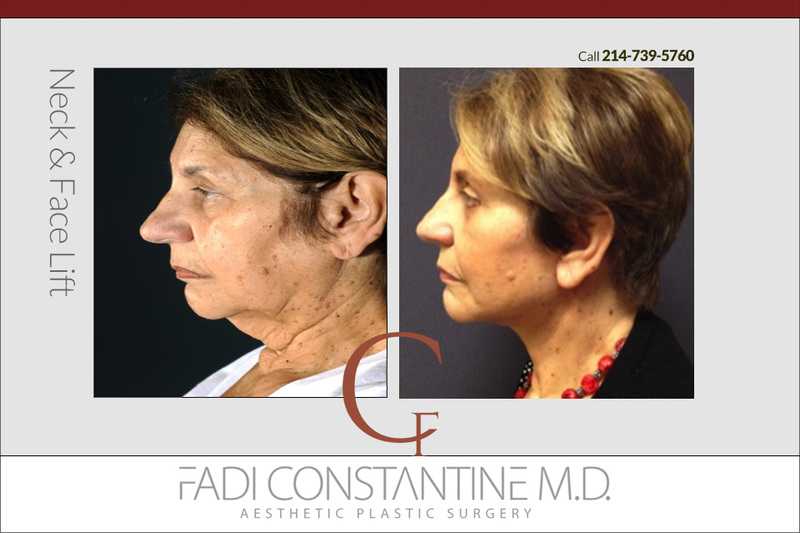 If you are considering undergoing facelift surgery in Dallas, there are various different options and procedures that you should consider. To the untrained eye it may appear that the way to “lift” the skin on the face is to pull it back around the hairline, there are in fact a wide variety of different procedures that will offer varying degrees of relief from the effects of aging on the face. Every type of aesthetic facial surgery has one common goal in mind; to provide pleasing results that are both natural in appearance and long lasting. Aesthetic surgery is a constantly evolving science and because of this techniques are being improved all the time, so there will be a procedure to suit every type of patient. Considered to be the gold standard in facelift surgery, the Deep Plane Lift involves lifting, releasing and repositioning the superficial musculoaponeurotic system (SMAS). The SMAS layer is located underneath the skin and surrounds the muscles used for smiling, frowning, and other facial expressions. This type of lift offers longer-lasting results and involves inconspicuous incisions along the hairline so that the facial muscles and upper fatty tissue layers can be easily lifted and repositioned. This procedure is popular with patients looking for a longer-lasting lift and more dramatic effects. The SMAS lift affects the superficial top layers of skin and the deeper tissues of the face and neck. By creating an incision at the temple, above your hairline, the SMAS is then tightened using sutures, any excess or redundant skin is removed and the remaining skin is stitched up. The SMAS lift works well for patients with some sagging in the mid face area and some jowls. There are several different SMAS lift techniques to choose from, the effects of which will vary from patient to patient and will all depend on the skill of the surgeon who undertakes the surgery. This is a group of facelifts that involve abbreviated scars like an S-shaped incision at the temple or in front of the ear. Your surgeon will re-suspend the tissues that support your smile lines and jowls and tighten a moderate amount of your loose skin. Another example of a short scar lift is the minimal access cranial suspension lift (MACS), where incision stops right at your ear lobe. These procedures are popular with patients who would prefer abbreviated scars and have no visible sign of aging on your neck. These types of lifts simply target the middle third of your face. The incisions are placed in your hairline and the inside of your mouth. Your surgeon then lifts and repositions the natural fatty layer over your cheekbones. 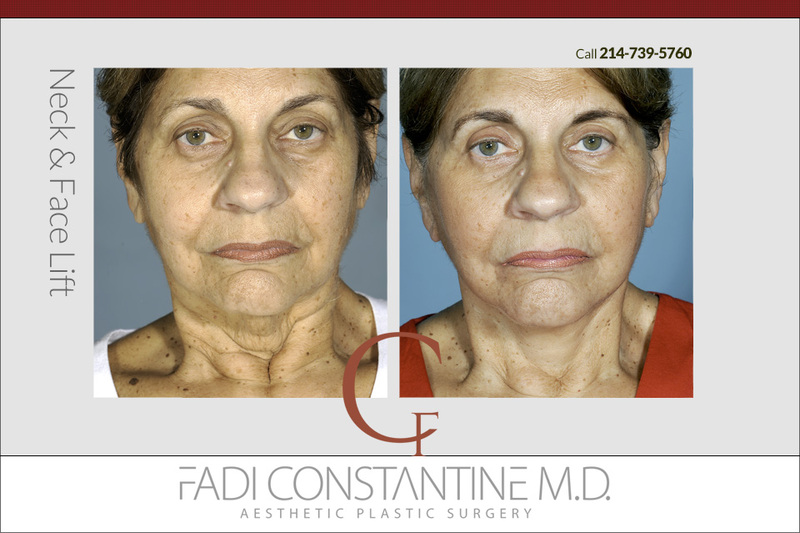 This lift provides a subtle fresh look and more youthful appearance, with minimal risk and very little downtime. 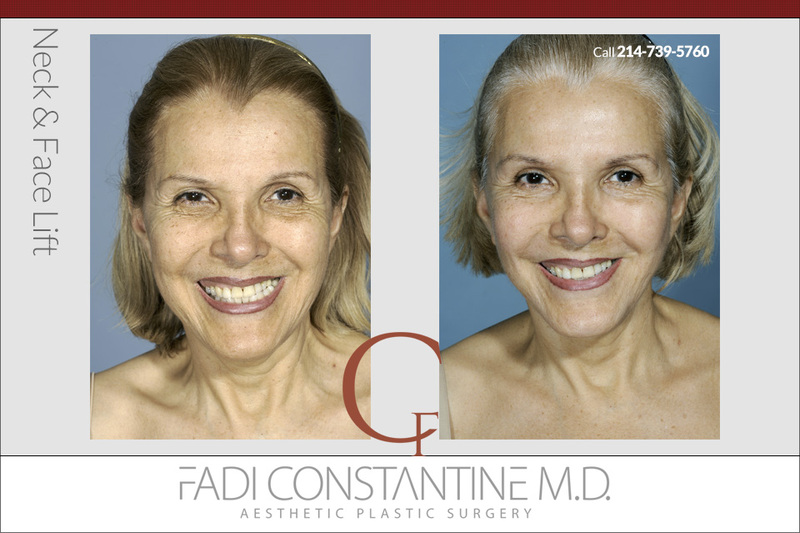 Dr Constantine Trained at some of the most rigorous programs in the country, and loves to perform some of the most delicate and demanding plastic surgery procedures. His team is known for natural results without an “operated” look which is perfect for anyone looking for a more youthful appearance. 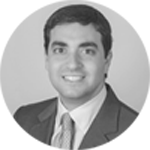 His extensive training background, gained in some of the most prestigious institutions in the country including the University of Texas Southwestern Medical Center in Dallas and the Manhattan Eye, Ear, & Throat Hospital in New York City, have ensured his position as one of the most highly sought after surgeons in Texas. 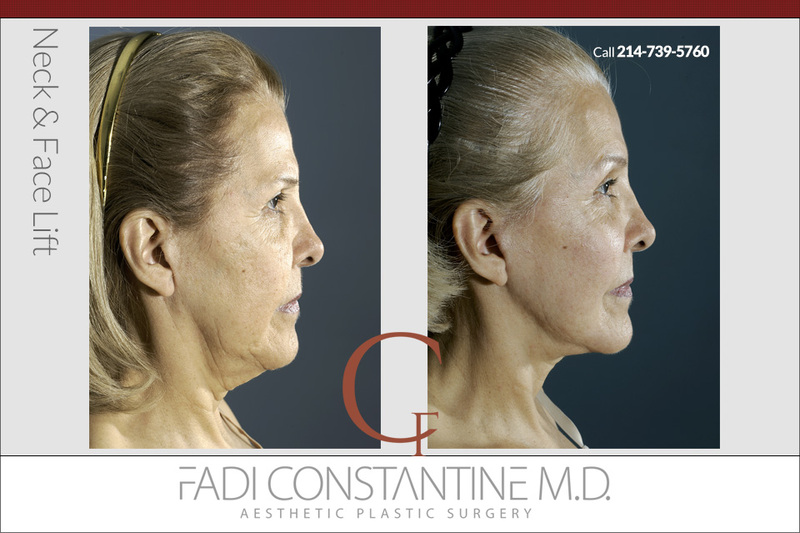 Dr. Constantine is committed to providing all of his patients with care, compassion, and excellence in all aspects of facelift surgery in dallas. Is Facelift surgery right for me?